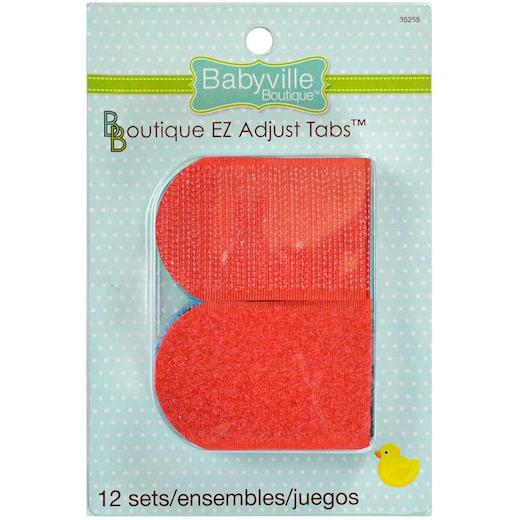 Babyville Boutique EZ Adjust Tabs are great for quick and easy closures for diapers. Colours coordinate with the Babyville Boutique PUL fabrics (not included). This package contains twelve sets of 1½ x 2¼ inch tabs in Black, Red, Brown, Green, Blue and Dark Blue.